Photo courtesy of Chichester Observer. This week was a wonderful week for Chichester Copywriter. 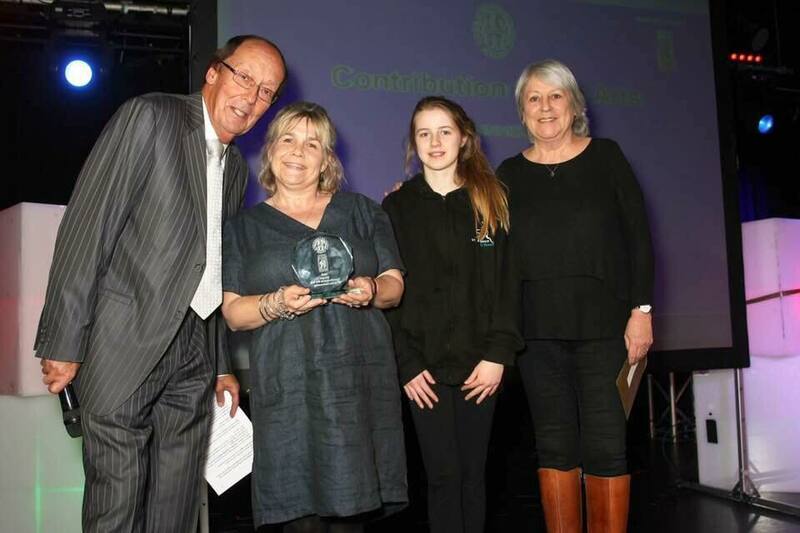 On Monday, Katy discovered that Story Factory Chichester, her not-for-profit venture with partner in creativity Vicky Edwards, had won an award for its contribution to arts in the community at this year’s Observer Community Awards! Vicky attended an awards ceremony scattered with local stars at Butlin’s in Bognor Regis with 13-year-old daughter Lily, who has attended the workshops for the past four years. Delighted and shocked to hear Story Factory announced as the winners of their category, collecting the award from TV’s one and only Fred Dinenage was the icing on Vicky’s cake! The award means a great deal to the two Chichester writers, who devised their creative workshops to offer something to West Sussex children from all backgrounds and of all abilities. Ever since hearing that they had been shortlisted for the award in October, Vicky and Katy have been canvassing. The win not only recognises the success of Story Factory but also shows the dedication of parents and other supporters who chose to vote. At last October’s workshop, which had a magically beastly theme, 30+ children imagined a number of everyday objects and places – from hand driers, to phone boxes, to windows – that could be portals to unknown lands. Once the likes of Roy Wendigo, Yvonne Pegasus and Aida Siren had settled on their fantasy author names, they dreamed up new enchanted creatures to inspire their stories. From a woodlouse that turns into a Cheetah to a Mermicorn (half mermaid half unicorn), the day gave way to a whole host of spectacular characters and yarns. The highlight, of course, was the end-of-day song composed by Mike Fry to incorporate a little bit of magic from each child’s creation. View photos of the children and their achievements here. After considering parent feedback expressing the need for a weekend workshop in a different West Sussex location, the next Story Factory will take place at Arundel Town Hall on 4 March, 2018. For this project brought to fruition with the help of Arundel Town Council, the theme will be “Royals and Wrong’uns” with a focus on historical townsfolk, from gentry at the castle to smugglers on the river. Katy and Vicky would like to take this opportunity to thank all their supporters and volunteers who help Story Factory to run smoothly along with our sponsors past and present, JSPC Computer Services and Sussex Arts Academy, for providing the funds to make the workshops possible. To find out more about Story Factory Arundel or to make a booking, please contact Katy today. 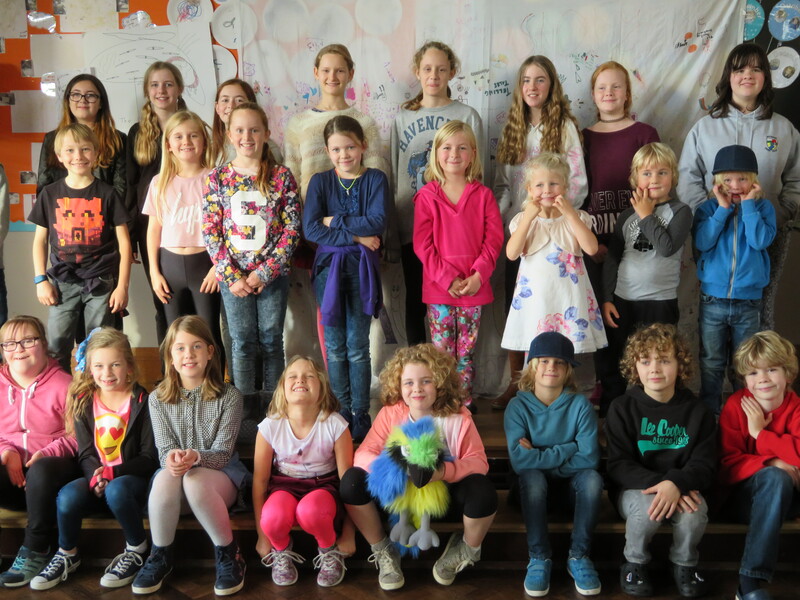 This entry was posted in Chichester Copywriter News, Story Factory Chichester and tagged Bognor Regis, Chichester Copywriter, Chichester writers, JSPC Computer Services, Observer Community Awards, Story Factory Chichester, Sussex Arts Academy, West Sussex. Bookmark the permalink. 3 Responses to Community Arts Award Win for Story Factory!